Thank you for your interest in becoming a corporate member of the Government Blockchain Association (GBA). When you or your organization joins, you will be telling the world that your managers are committed to innovation and are in a strategic position to bring about that innovation. You and your team will become a part of the solution to government’s most pressing challenges. Technology needs to enhance our lives and deliver value, but this does not happen without creativity and positive-minded practitioners who can see the future for what it should be. Would you like to help lead and create that value? Would you like to know about requests for proposals and opportunities to bid? GBA is your chance to not only create the opportunities, but to act on them. 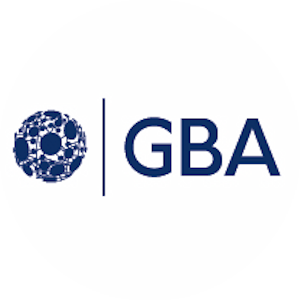 Most importantly, by joining GBA, you will be enabled to become a trusted source of knowledge and even sought out by those who need answers. Your team will understand how the Blockchain is permanently shaping governments. Your managers and Blockchain professionals will help decide which use cases are in the greatest need and which one will not be funded for a while. GBA Members will be connected to the leaders in their respective fields. You will be given opportunities to network with potential partners, prime and sub-contractors, and even competitors as many firms work together to craft solutions for the new and exciting governmental challenges of our day. Your team will be given opportunities to participate in professional working groups that address specific Blockchain application use cases across the public sector. We invite you to help take the lead in this emerging multibillion dollar global trend. Organizations that join GBA to acknowledge and agree to abide by our ethics statement. IMPORTANT NOTE: GBA leadership reserves the right to adjust the details of these categories and continue to respond to our member’s needs, especially as the dynamics of the Blockchain industry matures. We authorize the use of specially created and trademarked logos for active members of the GBA. The use of these makes a statement to the world and proves your firm’s commitment to Blockchain as a solution.